Whether you’re creating videos or launching a podcast, a soundtrack can add a whole new dimension to your work. But if you’re not musically inclined, it isn’t easy to find or write a background score. That’s where Jukedeck comes in. Just choose the genre of music and duration you need, set the mood with a keyword, and the app will create a track for you in seconds. You can then export the file and use it to accompany your video, slideshow or other media. 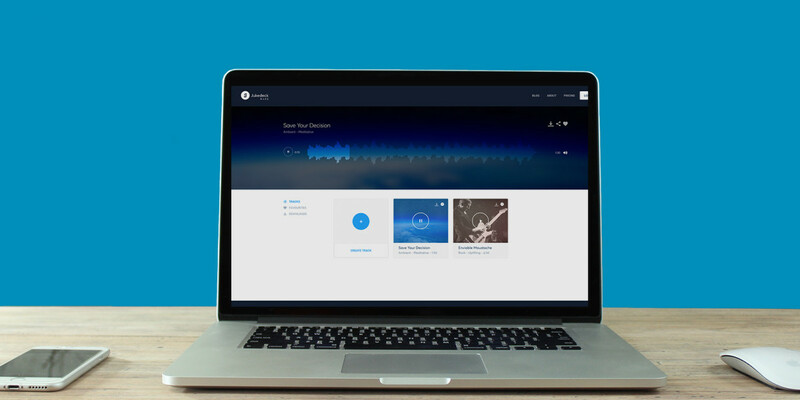 Currently in beta, Jukedeck lets you create as many tracks as you like and you can download five of them per month for free to use in your personal or commercial projects (provided your business has fewer than 10 employees). For larger companies, it’ll cost you $22 to license the track; you can also purchase it outright for $199 to do as you please with it. The company says that its system uses artificial intelligence to write music on its own based on your parameters — so the tracks it generates for you are truly unique. I created a few tracks with Jukedeck and liked what I heard. There are options to switch up instruments for your music, add percussion and set the tempo. They’re actually not bad. Electronic, ambient and folk tracks sound good, and I can imagine these playing behind an app demo or a corporate presentation. Certain elements, like the electric guitars and rock drums, sound more like MIDI instruments and are best avoided. At just over $20 for a license, Jukedeck’s pricing seems reasonable for people who need to whip up a video on the cheap and in a hurry. I’d personally prefer to have more options for tweaking tracks, but at present, it’s simple enough for anyone to use without a manual.